What is assault and battery in Illinois criminal law? Very often people ask, what is assault and battery in Illinois? What does it mean? What does assault or battery mean in a criminal setting in an Illinois courtroom? 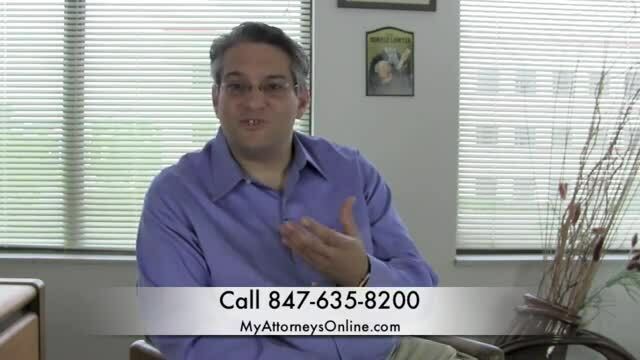 Join me for a minute my name is Steve Fagan, from the Law Firm of Fagan, Fagan & Davis. I am attorney practicing criminal defense here in Illinois. What we're going to talk about is assault and battery. And the fact of the matter is there is not such single thing as assault and battery in Illinois. It is not described that way under the law, there is battery and there is assault, there two separate crimes. The difference is confusing so let's spend a minute talking about them. First of all battery can be described in two basic ways in the law, the first is the most common, it has to do with causing bodily harm to another. The legal definition is "knowingly, intentionally and without lawful justification causing bodily harm to another" knowingly or intentionally meaning you didn't do it by accident, without lawful justification you didn't have a legally valid reason to hit that other person. For instance, is self-defense a lawful justification? It may be, its what's called an affirmative defense in Illinois, which means you have to prove it, but nonetheless it may be a lawful justification. A different way battery can be charged in Illinois is less common, but it happens, it's called knowingly or intentionally touching someone in a way that you know was insulting or provoking. Now, there are many different ways this can happen, the most common is you are in an argument with someone and you poke them in the chest. Is that insulting, probably is it provoking. Most of the time it's meant to provoke a response. So that is one way that a battery, for instance, can be charged. A different kind of offense entirely, is assault. Assault doesn't necessarily mean you've touched anyone, as a matter of fact most of the time you didn't touch anyone. Assault is once again knowingly or intentionally placing someone in what's called reasonable apprehension of receiving a battery. Meaning you've threatened them in a way that makes it believable that your about to hit them for instance. In other words, if another person believes your about to commit a battery, you've given them a reason to believe that, and you knew you were doing that, you might be charged with assault. Typically assault or battery are both charged as misdemeanor offenses under Illinois law, nonetheless they are very serious because the type of misdemeanor is the most serious type of misdemeanor, it's called a Class A misdemeanor, punishable by up to 364 days in jail and up to $2500 in fines, so it has to be taken seriously. So for many circumstances assault or battery can be charged as a felony and there are many possible ways that can happen, in either case you have to take these cases very seriously. If your facing criminal charges of assault or battery, call us at (847) 635-8200, we'd be happy to talk to you. Have a great day and thanks for joining me.